We are looking for talented Shift Supervisors who will help direct the shift operations of a restaurant, ensuring compliance with company standards in all areas of operation, including product preparation and delivery, customer relations, ensuring that the highest quality products and services are delivered to each customer and other duties as required or assigned. If you prefer to apply via text messaging, please send code 93576 to phone number (765) 204-0311. 1. Do you have experience with banking and cash handling? 2. Do you have experience with guest relations and managing guests concerns? 3. Have you had at least 1 year of shift management experience in the restaurant industry within the last 3 years? 4. Do you have fast casual or fast food shift management experience? 5. Do you experience training new team members? 6. Do you experience with food Inventory? 7. Are you legally authorized to work in the United States? 8. Can you work on Mondays between 9:00 AM and 11:00 PM? 9. Can you work on Tuesdays between 9:00 AM and 11:00 PM? 10. Can you work on Wednesdays between 9:00 AM and 11:00 PM? 11. Can you work on Thursdays between 9:00 AM and 11:00 PM? 12. Can you work on Fridays between 9:00 AM and 11:00 PM? 13. Can you work on Saturdays between 9:00 AM and 11:00 PM? 14. Can you work on Sundays between 9:00 AM and 11:00 PM? 15. What has been your greatest achievement or source of pride to this point in your life? 16. 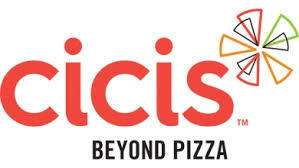 What is the biggest influencer that has brought you to seeking employment with Cicis as a corporate manager? Ie. Compensation, Quality of life, Flexible hours, Benefits, Opportunity or other? 17. What did you like most about your most recent job or position?